Losing a spouse comes with challenges no matter the circumstances, something we have talked about before . But one specific type of loss we get many emails, questions, and comments about is coping with grief as a widowed father with young or teenage children. Many widowed dads who have reached out to us describe feeling alone and struggling to find resources specific to their experiences. Here at WYG we aim to fill gaps when we can, and though we know all parenting widows struggle, we want to take some time to round up resources for all those widowed dads out there. We always hesitate to gender stereotype around here, but we know from research that men are just a lot less likely to seek support than women. So even if this post doesn’t apply to you, we encourage you to share it with any grieving dads in your life who might benefit. For some general info on parenting while grieving, check out this link for an article and this link for a podcast, and for tons of articles on supporting grieving children click here. We want to give the comedian Patton Oswalt a big shout-out for bringing attention to this issue by speaking out about his grief as a spouse and father after the death of his wife last year. Oswalt has shined a light on the challenges of grieving his wife and parenting his grieving daughter, all while being able to laugh at himself and get people to laugh with him. It is well researched that knowing what you’re going through is normal and you are not alone is really helpful in grief. Especially in those moments when you think you are going crazy and feel like no one else could possibly be going through the same thing. A great place for connecting to other’s experiences is through books and blogs, but unfortunately, women are far more likely to write about their experience of life after loss than men. This can leave widowed fathers feeling even more isolated. Luckily there are some books and blogs out there that are worth a look. Life as a Widower. This is a blog written by a father who lost his wife in an accident. Though he blogs less regularly than he used to, there is an impressive archive posts that share his grief from the very early days up through the present. It’s Not Raining Daddy, It’s Happy. This is a book by Benjamin Brook-Dutton, author of the Life as a Widower blog. It is not a compilation of posts, but rather a memoir of his life in the early years following his wife’s death. After All, a memoir. This memoir tells the story of a widowed father raising a daughter after his wife’s death following a 9 year battle with cancer. Split-Second Single Father. Written by a widowed dad whose wife died when he was 29, this blog chronicles several years of his life after the death. Though it is no longer updated with new posts, the site remains up so the archives can be read. In addition to blogs and books, there are a handful a of websites out there dedicated specifically to the experience of grieving dads. Single Fathers Due To Cancer. This is a page started by the University of North Carolina. If you are local that area they have an in person support group for widowed fathers. If you are not, they have information for widowed dads that may be helpful for fathers who lost a partner to cancer or other causes. Single Dad. Though this site isn’t exclusively for widowed dads, it provides great information and resources around the challenges of being a single father. The Father Factor. 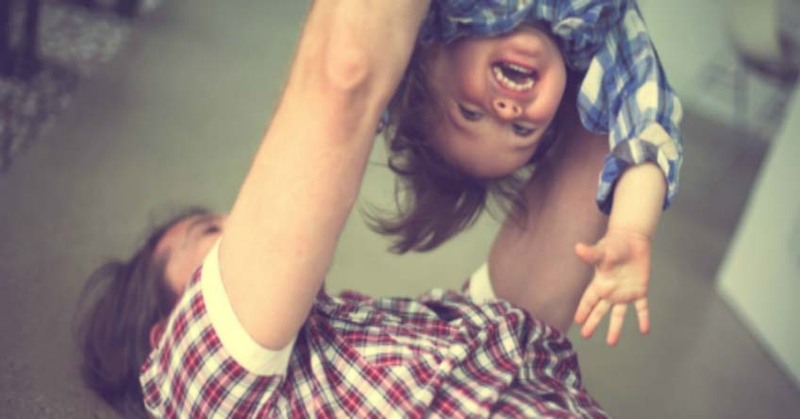 Put out by the National Fatherhood Initiative, this blog is not specifically for widowed dads, but provides great general information for dads on the challenges of parenting. A Lifeline for Widowed Fathers. A New York Times article about widowed father’s finding support and connection through a support group. Remembering Fathers Are Also Widowed. Great article by Dr. Phyllis Silverman on Psychology Today about the unique aspects of grief and coping for widowed fathers. Young Widowed Fathers Often Find It Harder To Ask For Help A Telegraph article on the differences in support system and coping of widowed moms vs widowed dads, as well as differences in how they seek and ask for support. Adorable video of a widowed cheer-dad doing his daughter’s hair for a cheer competition. He shares that he videos this not as a tutorial, but as an inspiration to other widowed dads and cheer dads to show that they can jump in and do their daughters’ hair too. News story coverage of a widowed dad who recreated his wedding photos with his daughter before they moved out of their home. A story about a father whose wife died during childbirth. When he couldn’t access his late wife’s vocal recordings from her computer, Reddit users came together to help the widowed dad recover his late wife’s music. The first part of Jon Graves’ vlog post on his story of losing his wife and becoming a single dad. This is just the first video, but he has more on youtube! Do you have suggestions for resources for grieving dads? If so, leave a comment to let people know! As always, subscribe to get new posts right to your inbox. 8 responses on "Widowed Dads: A Resource Round-Up"
I’ve found comfort and direction in many of the articles and posts on wyg, thanks. As a single father of 14 and 18 year old daughters who’s mother, and my wife of 26 years, passed in minutes from a brain hemmorage i can attest that resources aren’t easy to find for men in my place. I totally understand. I’m recently widowed and am in my 40s, I wanted to reach out to find widows and widowers who are walking this path.. we have a 7 yr old Daughter and I m worried about her future n mine. So many firsts as a solo. And the void to fill to find a new normal. Friends have been trying to be helpful but it’s never the same, as they don’t fully understand. I published my diary of the first year after my wife died in a traffic accident and my two boys and I stayed behind. Feel free to check it out at http://www.diaryofawidower.com It covers pretty much every hurdle any bereaved person has to take. One of the authors mentioned above (Benjamin) also has a online support group that I am in, it’s exclusively for men who have lost their partner. I have found that to be tremendously helpful for myself, it’s part of my trinity of support (the other two pieces are one on one counseling for myself and then group support for my daughter and myself). You can message Ben or Dan on FB to get an invite. No one wants to be in this terrible club, but it’s really nice to be able to talk to other guys about this. I am a father of two sons, aged 11 & 5, bereaved by suicide of my wife. 10 years of marriage having more ups than downs, but an argument one day resulted in her taking her own life and punishing us for rest of the life. It’s 2.5 years, but still every single moment my mind continue to run a film of my married life, in foreground or background. That emptiness and void never goes away. Life becomes a burden, a weight on heart that increases every day, making me feel that hopefully today is my last day alive. It’s a roller coaster ride of emotions that no one can understand, leaves you feel exasperated. Another great book is Two Kisses for Maddy by widowed dad, Matt Logelin. We also provide support and resources for widowed dads at Camp Widow® hosted by Soaring Spirits International. We love WYG and share your posts regularly, thank you for the work you do!